Robots and Artificial Intelligence are becoming increasingly important in customer service and the wider business world. Here is a brief overview of this new technology and what it may mean for you and your business. A robot can be described as an artificially made machine that has the ability to complete work and other tasks as normally done by humans. A robot is programmed to work automatically or by following the commands of a remote control. The study of how robots work or operate is known as robotics. In business, time and cost are important factors. That robots are easier and cheaper to work with when compared to humans makes them attractive. Given the risk and danger involved in some tasks, robots are the ideal alternative to human labour. Take, for instance, a robot can move around gas towers, travel space and bring back feedback, all this without exposing human life to any kind of danger. They are free of boredom. It is in human nature to get bored after performing repetitive tasks for a long time. This is different when robots are at work. They can work for a series of days, weeks or even months without getting bored. That they are programmed to produce accurate results makes them ideal for repetative procedures. Unlike humans, robots do not get tired. Automating a process means ruling out the possibility of having to deal with sick-offs, absenteeism and go-slows that normally delay work. Robots are made from metals and plastics and have three major parts namely; the controllers, sensors and mechanical parts. All these parts are interdependent and the functionality of one depends on the other. Sensors are the parts that inform a robot of its surroundings. Some types of robots such as cobots can tell the size of objects that are in the surrounding, determine the distance between itself and other objects, sense when a human being comes to the working space and so on. There are robots that are even able to tell the amount of pressure that needs to be exerted in order to enable the required grip. Others respond to pressure. Controllers are best described as the robot’s ‘brain’. In many cases, they are run on computer programs. Each robot has specific commands which control all the movements of all the movable parts of a robot. Industrial robots require the control of a qualified professional but some cobots can be run by following the guidelines available in the manual. The mechanical parts are the parts that are responsible for moving the robots. They include grippers, gears, pistons and motors. To enable movements, the mechanical parts of robots are normally powered by water, electricity or air. Like every other thing on this planet, robots too have their downside. First on the list is their inability to think or act on their own. They rely on prior programming and even this has no provision for thinking or making decisions. What does this mean? If there is an error in the programming, the robot will give back erroneous results. Robots make moves or follow strict sequence according to the programming that has been done. Another limitation is that they can be expensive especially for small firms. This is especially true for firms and companies that need huge robots. In a quest to cut down on the major limitation of robots, programmers have come up with a system that allows robots to act or think like humans; or at least close to that. This technology is known as artificial intelligence commonly abbreviated as AI. It is still in the early stages and can only be accomplished by scheduling some complex software. So far, artificial intelligence can help robots identify the face of a human being, or respond to various computer actions. 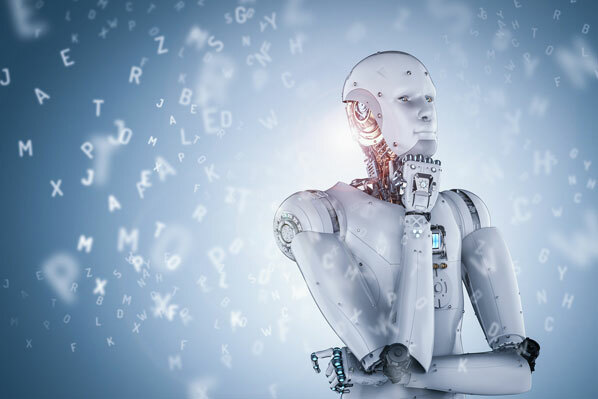 There are robots that have been programmed with the artificial intelligence ability, a factor that helps them learn, refer to previous data or even make future determinations. For example, in controlling traffic a robot that is programmed with artificial Intelligence can assess the traffic flow and be able to tell when the right time to change the lights is. The only limitation now is that this technology is also limited by the information that has been fed into a robot system. It is definitely going to be interesting to watch the next move in regard to this technology.